Birmingham Mayor Randall Woodfin has been busy the past few days making endorsements in local races ahead of Tuesday’s election. Woodfin first took to social media on Saturday where he endorsed Danny Carr for Jefferson County District Attorney. 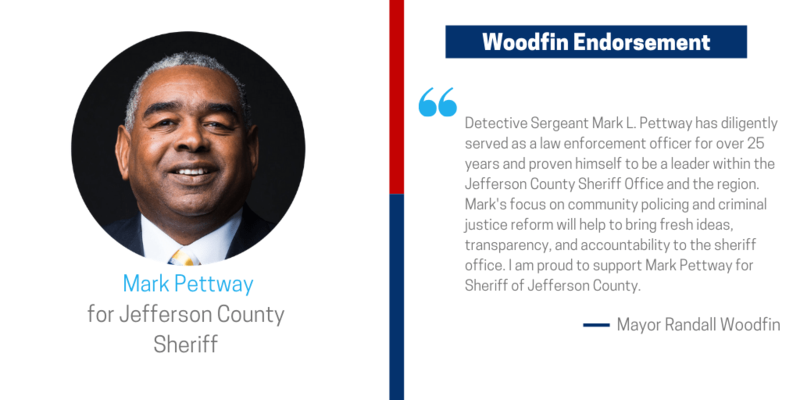 On Sunday he endorsed Felicia Stewart for State House District 46 as well as Mark Pettway for Jefferson County Sheriff. 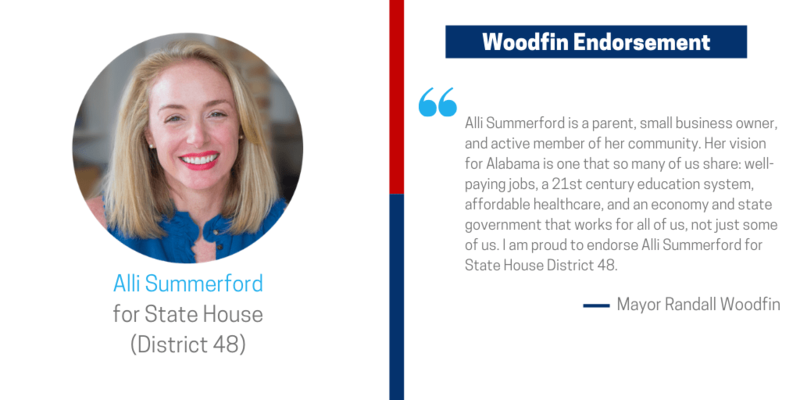 He continued his endorsements Monday morning adding Alli Summerford for State House District 48 to his endorsements list. All of the candidates Woodfin has endorsed are Democrats. “Alli’s vision for Alabama is one that so many of us share: well-paying jobs, a 21st century education system, affordable healthcare, and an economy and state government that works for all of us, not just some of us. I am proud to endorse Alli for Alabama!,” Woodfin posted on Facebook. 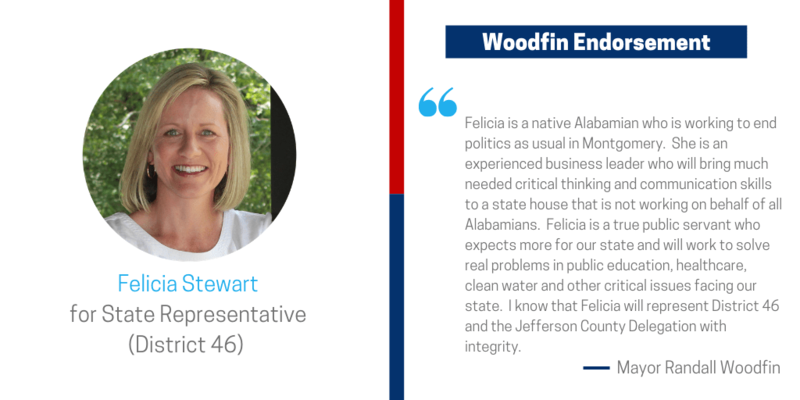 “Felicia Stewart is a true public servant who expects more for our state and will work to solve real problems in public education, healthcare, clean water and other critical issues facing every day Alabamians. VOTE Felicia Stewart this Tuesday! #ExpectMore,” Woodfin posted on Facebook.